Observation - Cotton Grass - UK and Ireland. Description: A common sight on bogs or peaty mountains, there are four Eriophorum species in the British Isles. 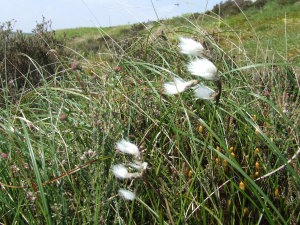 A common sight on bogs or peaty mountains, there are four Eriophorum species in the British Isles.